The European Satellite Services Provider (ESSP) has received a certificate of “Air Navigation Service Provider” according to the Single European Sky Regulation 2096/2005. 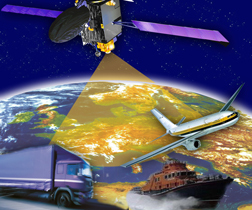 ESSP is responsible for operating the European Geostationary Navigation Overlay Service (EGNOS), a space-based augmentation system similar to the United States GPS Wide Area Augmentation System (WAAS). Delivered to ESSP on July 12 by the French National Supervisory Authority (NSA), the certification confirms that ESSP complies with safety criteria for operations and is a prerequisite for the company to provide navigation services to airspace users. The certification was conducted by the Direction de la Sécurité de l’Aviation Civile (DSAC) in cooperation with the national supervisory authorities of Belgium, Germany, Italy, Portugal, Spain, Switzerland, and United Kingdom. It consisted of documentation review and a series of on-site audits to assess compliance of the ESSP organization, its staff, and its technical equipment with the European Safety Requirements, and with the International Civil Aviation Organization Standards. On August 2 the ESSP will be able to remove the message 0 (Do Not Use in aviation) from the EGNOS signal, representing the first step toward use of EGNOS for enroute and lateral guidance approaches (LNAV). After a successful operational period of three months, the European Commission will be able to declare the safety-of-life service available to the aviation community, enabling the publication of precision approach procedures with vertical and lateral navigation guidance (APV) based on EGNOS. At that time, European air navigation service providers will be able to implement satellite based precision approaches without needing ground equipment on the airport, and with performances similar to those of the instrument landing system (ILS Category I) currently used in the world.